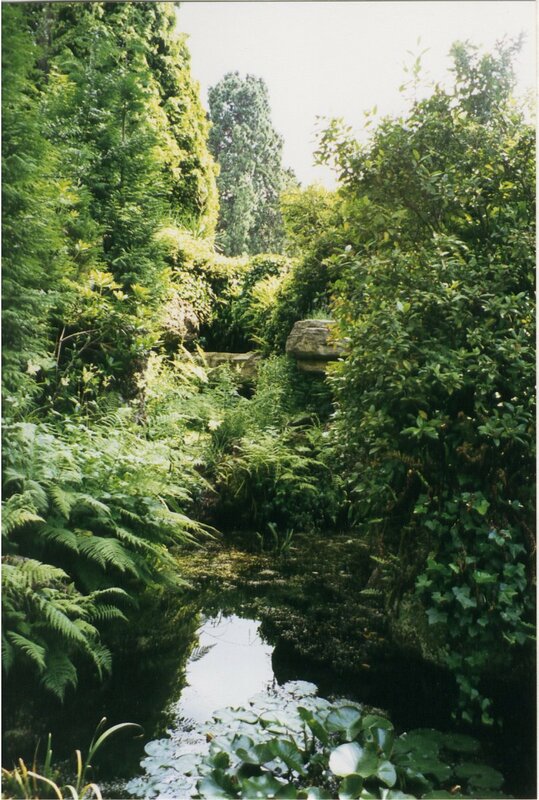 This is certainly not one of the Pulhams’ largest or grandest sites, and the general layout is essentially quite simple, with water being pumped to a waterfall that fed a stream running through the bottom of the gully, alongside a rock-bordered path. 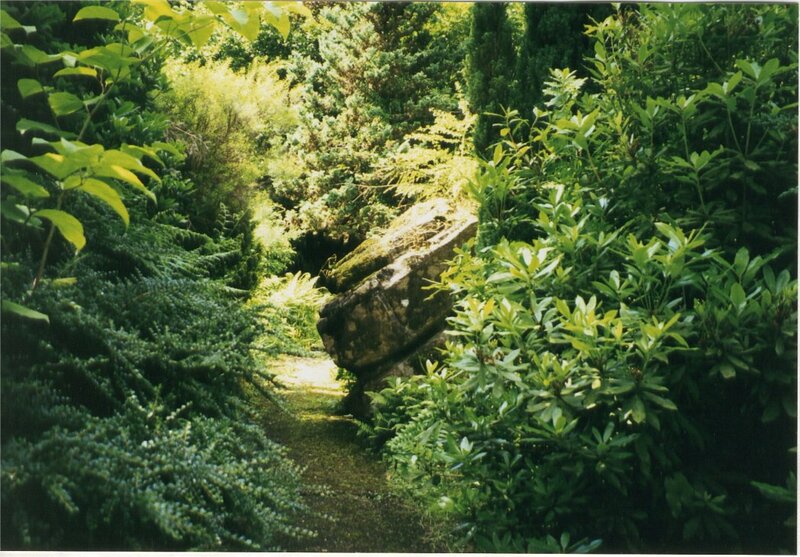 The garden became almost completely overgrown over the years, but, by the time of my visit in the summer of 2000, it had undergone a commendable amount of clearance and restoration, done partly by some of the older boys at the school under the direction of the Second Master and his wife, who are both keen gardeners. They had done very well indeed, although they had by no means completed the task by that time, and indeed it was still In a very overgrown state in 2010. It was not possible to save absolutely everything during the clearance of 2000, because tree roots had taken their merciless toll on quite a lot of the rocks along the edge of the stream and elsewhere. Fig 1 shows what could then be seen of the waterfall, which cascades over three levels to the stream below – there is a pump installed somewhere, but it had not by that time been discovered, so a hosepipe was used as a temporary water source. . . 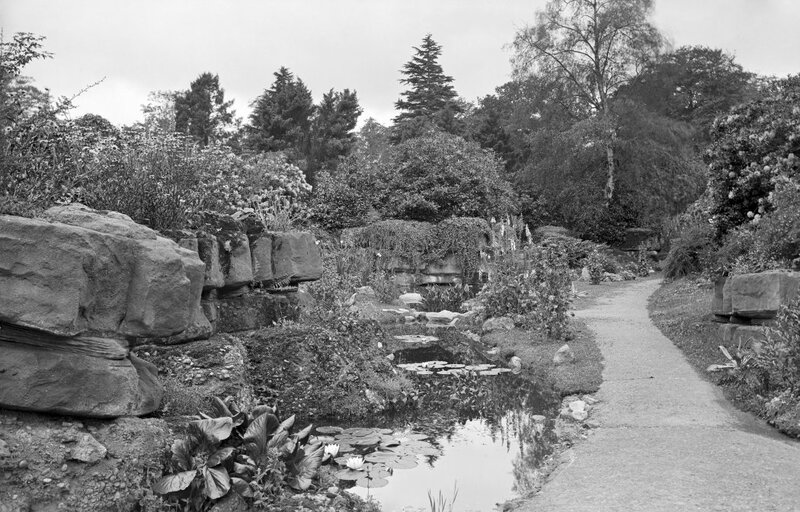 Fig 2 is taken from an issue of Country Life dated 15th March 1902, and provides a good idea of what the rock garden – or ‘Water Garden’, as it was then called – was like at the beginning of the 20th century, compared with what it was like nearly 100 years later, as shown in Fig 3. 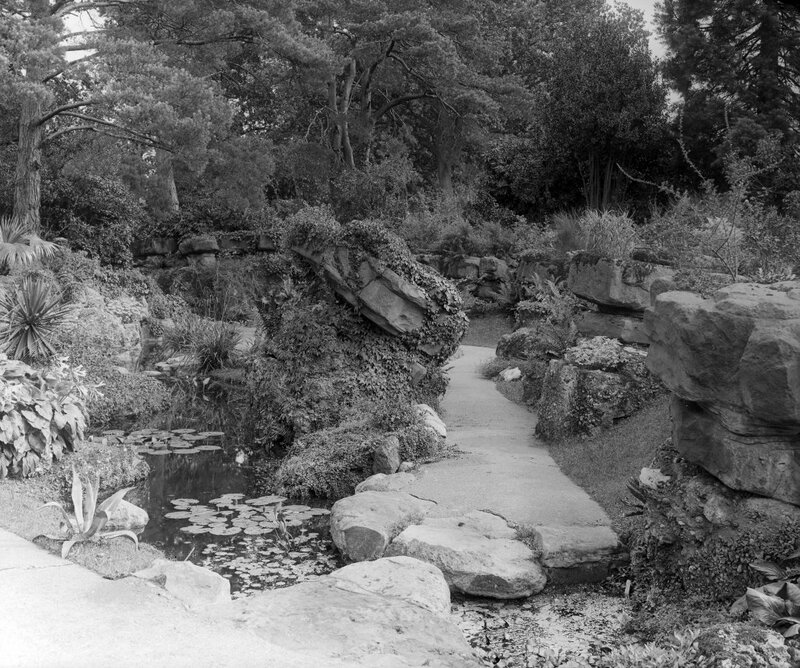 One of the most impressive features of the garden, however, is the massive ‘tilting rock’, or ‘imitation rocking stone’, as it is referred to in the Gardeners’ Chronicle article quoted above. Made to simulate a massive geological fault in the rock strata, one is tempted to wonder how the ‘tilt’ is retained without the ‘rocks’ collapsing onto the path. The 1902 view of this is shown in Fig 4, while Fig 5 shows it as it was in 2000. 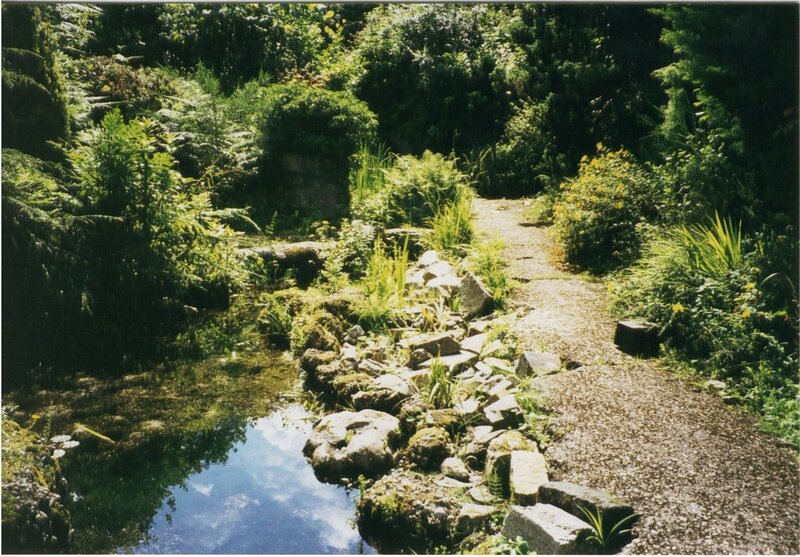 Posted on April 27, 2014 June 4, 2016 by Claude HitchingPosted in Sites Month 2Tagged . . James Pulham and Son, Bearwood College, James Tegg, John Walter III, Stream Garden, Tilting Rock, water garden, waterfall.